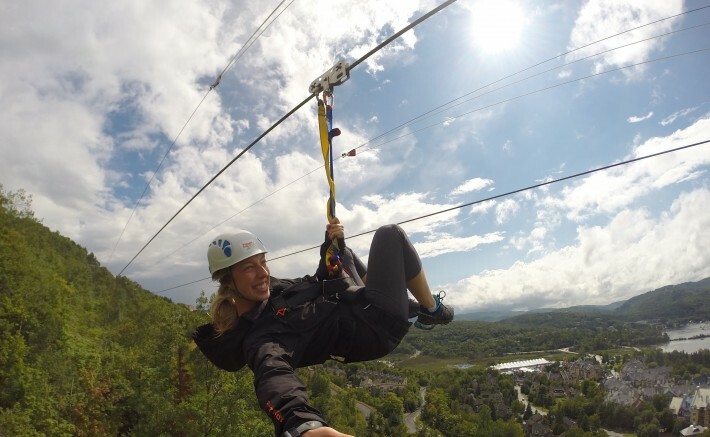 On August 16, Ziptrek’s five lines will officially be open to the public. This week we had the chance to try the newest additions and they were exhilarating! Or eco-exhilarating as they would say. The final two lines truly round out the experience, which was already a huge hit with our guests. After a nice stroll in the woods, you get to the third zip. That’s where you finally get into it and see what you can do: the wind in your hair, flying over the trees at speeds of up to 100km/h, you can do anything! Then, right when you’re still feeling that beautiful natural high, off you go onto the fourth and longest leg, a drop equivalent to 25 storeys, to witness exceptional views. Just to keep you grounded and caught up on your eco lingo, there is another short hike in the woods. Here the knowledgeable guides inform you about our ecosystem, as they do at other key points along the course. Climbing up the platform to the final zip line, you know that this is going to be awesome. The pedestrian village of Tremblant is straight ahead as you glide towards the top of the village. Finally, there you stand, high above the entire colorful village. What a sight! 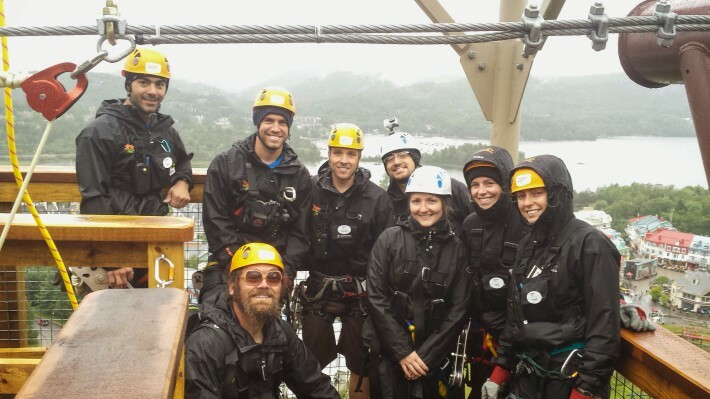 – Ziptrek tours take place directly on Mont Tremblant itself and welcome guests ages 7 and up. – The Tremblant landscape is home to bears, wolves, deer, woodpeckers and a plethora of other living creatures and organisms. Call now at 819-681-4448 or 1-888-ZIPTREK (1-888-947-8735) or book online here!